Kiss the cook! 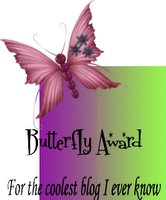 : A BIG blogging break, awards and a heartfelt Thank You! Glad to find you back gal..:-)...as I said before you write very nice...it's flows nice..perhaps how abt starting a blog of your thoughts n stuff ;)...coming back to the Awards .Congrats on yours and thanks for sharing with me..I accept it gladly :)...so sweet of U. And talking about break..am kinda not able to update my blog or visit any other blogs too..yours is the first blog am visiting after a week or so ..I was surprised to see you msg and immediately open your blog :-)..keep rocking and blogging. Happy to hear from u.Congrats on the award.And thanks for passing it to me..Dont worry about hosting.Just do post when u feel like.Enjoy blogging! Thanks Priti, what can I do to bring you back to blogging? Divya, Thanks for the nice words. I do enjoy blogging and esp the interaction. Dear Manasi, thank you so much for this warm post - truly heartfelt indeed... Nice to hear that you will be back with more regular posts... :) Thank you so much for the awards! Welcome back, girlfriend ... looking forward to many, many, many fabulous posts and recipes from you! This is truly a wonderful post Manasi ... you truly touched me! Thank you very, very much for my first award ... warmest hugs. Thanks Laavanya, my husband groans every morning when the first links I click are your blog and my other fav cooking blogs :) I am so surprised at the frequency of yoru posts, despite having a kid! Sheetal, thanks. The 'touched' feeling is mutual...and no, I didn't intend for that to sound dirty :) Hugs all around!